The largest cities in Texas continue to be among the most diverse in the nation. 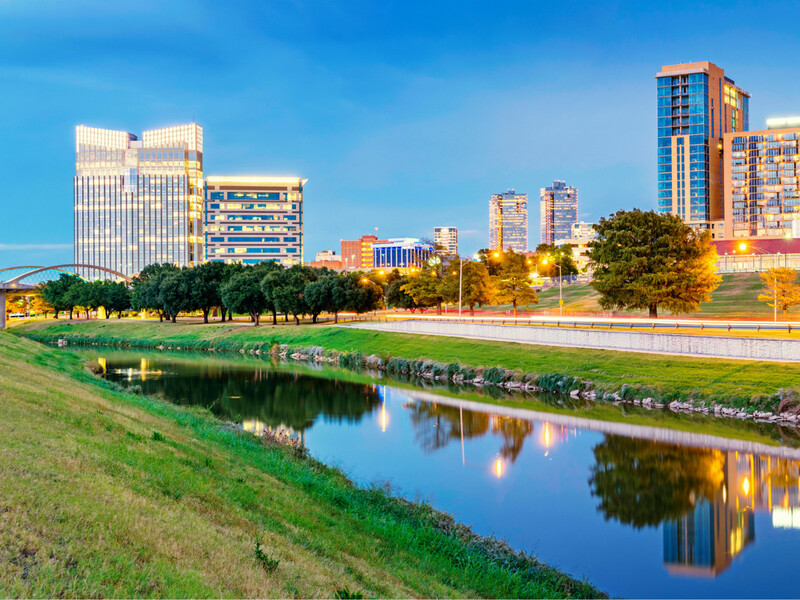 Houston, Dallas, Arlington, and Fort Worth all rank among America's 25 diverse cities for 2019, according to personal finance site WalletHub. Fort Worth, specifically, takes the 25th spot on the list, with a total score of 69.88. The site compared 501 of the most populated cities in America across five key dimensions: socioeconomic diversity, cultural diversity, economic diversity, household diversity, and religious diversity. The report drills down into metrics such as industry diversity, income, age, religious affiliation, education, language, worker class, and marital status. Fort Worth stands out in a few categories, scoring best in industry diversity (No. 18) and making respectable showings in racial and ethnic diversity (No. 44), household-size diversity (No. 53), and cultural diversity (No. 61). In socioeconomic diversity, Fort Worth ranks 100th. Its worst ranking is in age diversity (No. 455). Not far behind Houston, Dallas, with a total score of 71.12, ranks as the fifth most diverse city in the country, with high scores in industry diversity (No. 22), educational-attainment diversity (No. 30), and racial and ethnic diversity (No. 37). Arlington comes in at No. 9, with 70.87 points. Fort Worth's neighbor scores best in racial and ethnic diversity (No. 17), industry diversity (No. 37), and cultural diversity (No. 41). Other Texas cities landing further down the list are Austin (No. 42), Plano (No. 57), San Antonio (No. 62), Corpus Christi (No. 71), El Paso (No. 214), and Laredo (No. 463).